Take a day off and relax during a Day Spa Trip in Missouri. Find the nicest day spas in MO to take the girls out for a relaxing treat. Visit the best day spas in Missouri on your next day off. Relax, indulge, enjoy and love yourself too! Bodyworks Day Spa offers a great experience and provides soothing services to relax your body, enhance your beauty and refresh your spirit. Their staff members are licensed massage therapists, well-experienced, skilled, friendly and dedicated to deliver excellent services. Bodyworks Spa 101 has a safe convenient locker room, showers, robes, slippers, hair care needs and much more, just ask the staff. All areas behind the door are relaxing. Just relax when you enter the spa and keep conversation quiet. Their services are open from Monday to Saturday. Everyone is welcome and you can request a specific therapist for your appointment, licensed professional therapists are happy to meet everyone. They recommend you make a call in advance to ensure availability so that you won't keep waiting for long when you come. Please arrive 15 minutes prior to your appointment time to relax. Enter a wellness retreat for the body, mind and soul! 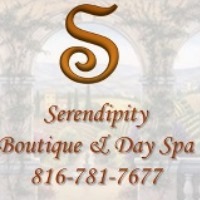 Serendipity Day Spa offers massage therapy, body scrubs and wraps, facial treatments, waxing and tanning and a nail salon. They also have special offers like teeth whitening and permanent cosmetics. Their special packages include two options, either pampering package or wedding package at reasonable rates. Their spa is open to everyone Mon-Thurs 10am to 8pm, Fri- 10am to 7pm, Sat 9:30am to 6pm and Sun 10am to 4pm. the boutique is open Mon-10am to 6pm, Tues and Thurs 10am to 8pm, Fri 10am-7pm, Sat 9:30am to 6pm and Sunday 11am to 4pm. Their staff members are professional therapists, giving great massages to normalizing those tissues consisting of manual techniques that include applying movable pressure and relieving body pains. Enjoy the massage experience with a partner or a friend in a special treatment in a relaxing atmosphere room. Great place, very clean and relaxing! 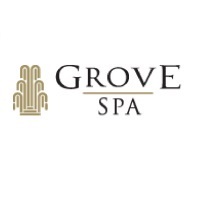 Grove Spa is committed to art and science of cosmetic rejuvenation and anti- aging strategy. They're passionate in helping everyone look and feel young and beautiful from the inside out. What are you waiting for? We all know that everyone wants to stay healthy and beautiful, it's time to treat yourself. Their staff members are well-experienced and licensed focusing on refreshing your body, mind and soul. If you need a full day of relaxation and rest or just an hour of pampering, they provide customized, attentive and exceptional services to make you feel the best. The spa boosts circulation, reduces muscles pain and increases range of movement. They also help treat common illnesses including diabetes, back pain, high blood pressure and other health conditions as well as normal daily stress that occur during hectic lifestyles. For more updates and info visit their webpage or call them for appointments. Experience a new level of relaxation and comfort! Tara Day Spa believes that beauty and wellness start within and their mission is to make you feel relaxed, rejuvenated and recovered. From body treatment, skin, nail services, gorgeous hair, they will leave a memorable mark on your day. They offering a variety of wellness practices which include therapeutic massage, sauna, infrared, aromatherapy baths, skin rejuvenation and detoxing treatments. They have two types of wellness practices, Rolla Acupuncture and Traditional Chinese Medicine Clinic and the second Midwest Chiropratic Center. This is the perfect place to help women feel and look beautiful. They use healthy products that are crafted well and kind to everyone. 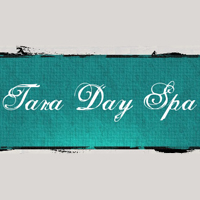 Tara Day Spa is open Monday- Saturday 10am to 7pm. Come and enjoy a relaxing, stress free atmosphere where everyone can get the excellent services from their professional staff. Perfect environment of relaxation for healing the body, mind and spirit! 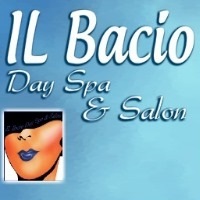 IL Bacio Day Spa's menu features facial treatment, body treatment, waxing, full body massage, and nail and hair services. Their staff is well-experienced, stylish, licensed therapists and cosmetologists and friendly. If you need a relaxing day away from home with great aroma and a relaxing atmosphere, for formal evening party or even just to feel pampered, this is the place to come to. They are closed Sunday and Mon and open Tues from 10am to 7pm, Wednesday 10am to 6pm, Thursday 10am to 6pm, Friday 10am to 6pm, Sat-10am to 3pm. Their friendly and well-experienced staff consists of Ms. Elizabeth Nuss (owner, cosmetologist, massage therapist, esthetician, make-up artist, facial and nail artist), La vonn Scott and Shannon Eddings (massage therapists and cosmetologists), Kristine Harris, Shay Sharp and Ashlee Denbow. Ultimate and excellent for health, beauty and relaxation! 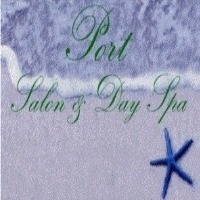 Port Salon and Day Spa has a heart dedicated to beautiful clients like you! They provide customer satisfaction, consultations and guidance to help everyone maintain a healthy and beautiful lifestyle. Come and join them for an hour, at night time, during the afternoon or morning or a full day and take advantage of their wonderful benefits for body, mind and soul. Have you realized that we need to keep a healthy mind, happy soul and active body? They strive to help each person that wants to maintain a healthy balance in life by sharing their knowledge about healthy lifestyles. Truly a wonderful experience to be part of their mission, call now and schedule for your reservation at very reasonable rates. Treat yourself and a friend! 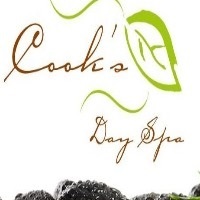 Cooks Day Spa provides everyone with exceptional services. They provide personal knowledge and experience to give customers a complete line of salon and spa services, to show everyone that their spa is different! They started to operate in 2009 with licensed therapist and owner, Sherri Jerrick LMT and Dessert Storm Veteran. They got an award as Best Massage in Pulaski County 10 years consecutively. Their purpose is to provide personalized services that are focused and dedicated to everyone. Everyone deserves to feel welcome and valued, that's the reason for their dedication and inspiration. They offer reasonable rates for services such as body wraps, chiropractic, facials, hair, nails, spa packages, waxing, wee ones and tweens. They are open Tues- Fri 10am to 6pm, after 6pm by appointment only, Sat 10am to 3pm Sunday and Monday are closed. They reserve the right time for your individual schedule. Everyone is required to make a call for an appointment. Enhance your dream in paradise and feel pampered, renewed and revived! 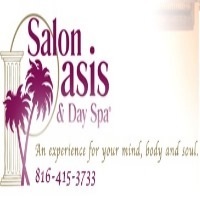 Salon Oasis & Day Spa offers a variety of services for your nails, hair, and body massages, with the latest services for hair care, hair trends and hair textures. They are also offering manicures and pedicures as well as acrylic and gel nails. Special offers such as cosmetic applications, body wraps, paraffin treatments for the hands and feet and microderm are available and also full body massages. Their goal is to give a relaxing and soothing atmosphere at very affordable rates. Salon Oasis & Day Spa has been voted in the Northland for best day spa, best massage and best in hair and nail style in 2010. In 2008 they earned one of the top 200 National salons in the US and were also nominated for the International Global Salons Awards. Spaza Day Spa offers exceptional body services and luxurious spa treatments including hot stones, therapeutic, relaxation, waxing, facials, body wraps, chemical peels, wart, mole, and skin tag removal. They also offer the latest services in permanent cosmetic makeup in Ellington and in Piedmont. Everyone deserves to be pampered and they are the perfect destination for relaxation. The fantastic aroma, visual presentation, soothing sounds and tranquility are felt upon entering the Spa. They believe that all spas have unique services and no two spas have the same treatments. That's why they create a unique treatment for each customer. A high percentage of their business is from repeat customers or referrals. They are glad to meet you and allow you to experience natural methods and effective alternative treatments. Euphoric atmosphere that's conductive to renewing mind, body and soul! Euphoria Salon & Day Spa brings gift giving in a simple way. Their staff is polite, friendly, licensed and well-experienced as well. They love to fulfill everyone'd needs with massages, spa packages, nail services, facials, hair services and waxing. They are open Mon-9am-5pm, Tues-9am-8pm, Wed-9am-6pm, Thurs-9am-8pm, Fri-9am-6pm and Sat-8am-4pm. 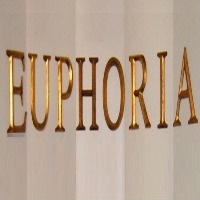 Euphoria Salon is designed to bring luxurious services throughout the town at very reasonable prices. They offer hair design, nail art, color services, facials, waxing, massage therapy, weight loss wraps, day spa packages and they are located in Warrensburg MO. They require an appointment before visiting their salon & spa. For comfort and relaxation for everyone they respectfully request that all gadgets must be turned off while in the salon & spa. They are very glad to please all customers and to assist and provide gratitude and satisfaction.